Indoor Herb Garden Dot Com Welcomes You! 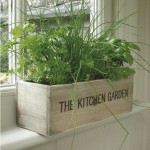 Why to pay for herbs at the supermarket when you can plant them in your kitchen and create a good indoor herb garden. Fresh herbs are way much better than those available at different supermarkets.Indoor herb gardening is the beautiful way to have endless supply of garden-fresh herbs right at the comfort of your home. If you grow herbs indoor, you don’t have to worry about having fresh herbs even when snow is drifting up outside your home. A bright window is enough for a good herb plantation. Indoor herb garden is the simplest task and you don’t need enough cash to do that. Herbs are inexpensive plants and require limited care and maintenance. With the establishment of an indoor garden, you can easily monitor plants and their growth. Outdoor herb garden often are overlooked and are prone to different bugs.Indoor herb garden does not have such issues and you don’t have to carry the expense of buying chemicals and fertilizers. 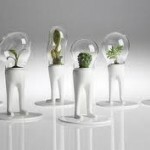 To add to the uniqueness of indoor herb garden, they can be planted anywhere. Whether, you live in condos or apartments, you can easily plant herbs in a pot and keep it either in kitchen window or some safe place near door which has access to moderate sunlight and precipitation. An important aspect to consider while setting up a herb indoor garden is to see what type of herb plants you want to grow. 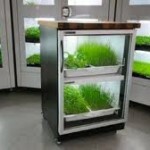 The fun part here is you can plant herbs in either machine made plotters or can customize one at your home. Just make sure that it has good drainage and can hold dirt and water without making a muddle. Container/Pots – This is the first requirement. There are several ready made containers available in the market or you can make use of old terracotta utensil which is at least 6 inches in depth. It should have enough space so that herb root can easily spread. Don’t forget to create a drainage hole at its bottom. Make sure that you keep this container facing the sunny side of the window. Soil – Soil is the soul of the herb. Choose the best fertile soil so that herb does not dry out. You can make use of approved medicine to protect the herb from getting any kind of bugs. Type of herb– The best choice here is choosing a kitchen herb. For example, you can grow sage, rosemary, thyme, basil and mint. These are commonly required in the kitchen. You can purchase herb seeds from a nursery or grow your own from existing seeds if any. Make sure you follow the instructions and plant the seed in the manner as it is mentioned. Herbs grow extensively well and you can keep them for future use by dehydrating them. You can crush them and zip lock it in air tight packets. Water plants regularly as it’s their oxygen and helps them to respire. Pots should have sufficient drainage access. Most indoor herb garden do not have a success if the water is stagnant, which destroys their root. While buying seed, carefully read the instructions given in the packet. Different herbs need different soil condition and environment. Go through the indoorsed points and make sure you give them substantial space for their perfect growth. Make sure that you rotate the pot on a weekly basis. This ensures the even growth of the herb. Limited use of fertilizers can add magic to the growth of herbs. 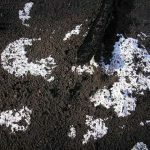 Fertilizers increase the quality of the soil. Do not excess its use, it may prove futile. Hurry burry spoils the curry. Never be in a rush to pluck the leaves of the herbs. Harvest the leaves when the plant reaches an approximate height of 6 to 8 inches. There are not many reasons but few could hamper the herb plantation. The foremost important thing to consider while under taking indoor herb garden task is the temperature and moisture. An acute problem occurs in winter when the air becomes too dry and no moisture presence is there. This hampers the herb. The best solution is to surround the planter/container with water around its base. As the water evaporates, it’ll add humidity. Another danger arises out from pests.Indoor herb plants are frequently attacked by pests attack because of room temperature conditions. If you notice small insects flying over the herb, a very simple procedure is to prepare some lukewarm soap water. Dip the herb slightly in the soap water; it will kill the insects and their eggs. You can also make use of a spray decanter and spray it over the herb. Make sure to check the underlying surfaces of leaves, it’s the favorite place of insects to give eggs. Last but not the least; maintain a good distance between herbs and other household products especially wooden furniture, room freshener or any kind of sprays. Molecules present in these household products may eventually settle on herb leaves or soil and it destroys the aroma and may sometimes be potentially danger to consume those herb leaves. Herbs grow exquisitely well indoor, if you put little efforts to car and nurture them properly. Having fresh herbs right in your kitchen will surly benefit you in many ways. 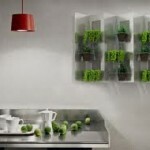 Apart from fresh herb supply, indoor herb garden will give a new dimension to your living space.